I hope you are having a wonderful Thursday, it’s very rainy hear in FL but I love rainy days! 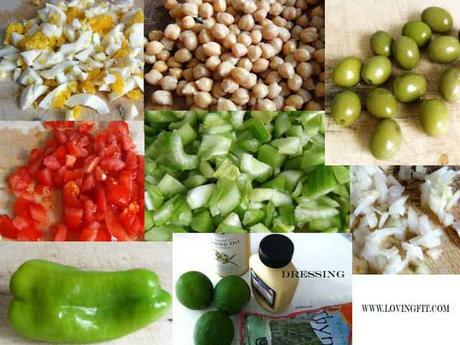 Today I made another one of your recipes, this one is from JT and it’a a Healthy Garbanzo Salad . I am really loving the idea to make all of the recipes that you guys share with me and I will keep doing that from now on on a regular basis. 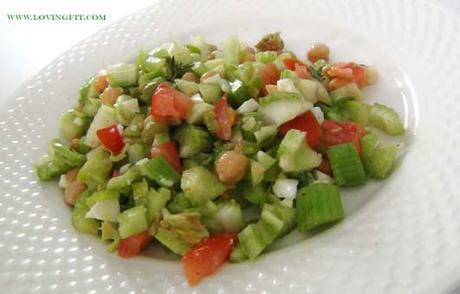 ” This salad is packed with proteins from chick peas and the eggs. It’s very fresh and satiating, ( serves 2 ) “. Thank you JT for this wonderful recipe!!! PS – Tomorrow we are shooting another full body Workout, there will be a few cool exercises so stay tuned . Also, I will be doing a NO SUGAR challenge starting Monday next week, and I will tell you the details of it in the video tomorrow.